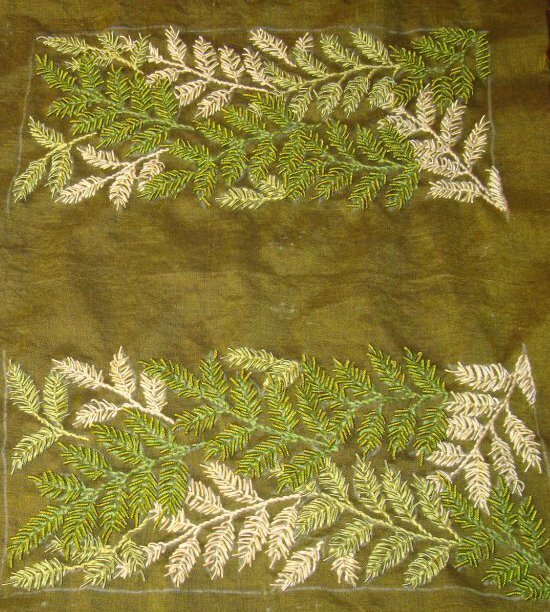 After finishing the fly stitch sampler, I found these pictures of this green tunic, in which the whole embroidery was worked in fly stitches with zardosi beads. 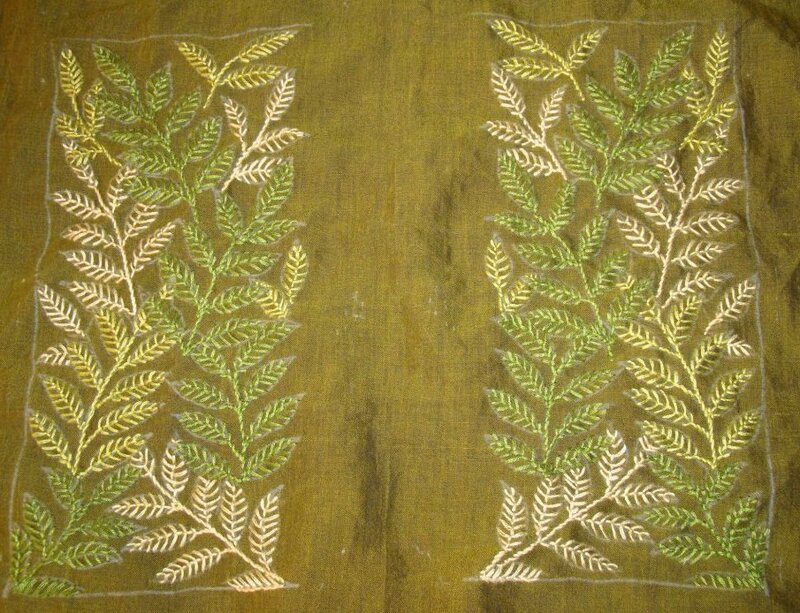 Two panels and sleeves were worked in this tunic. 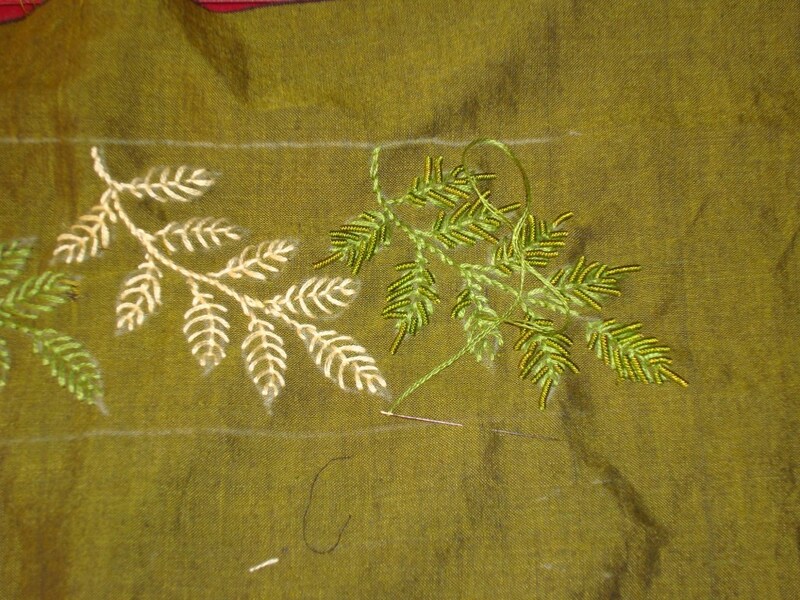 The sleeves had a border pattern made of these leaves. 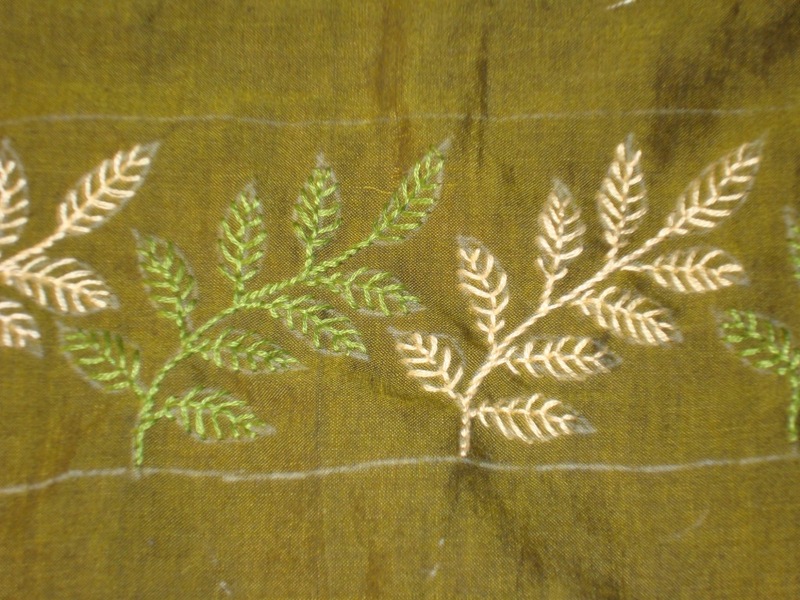 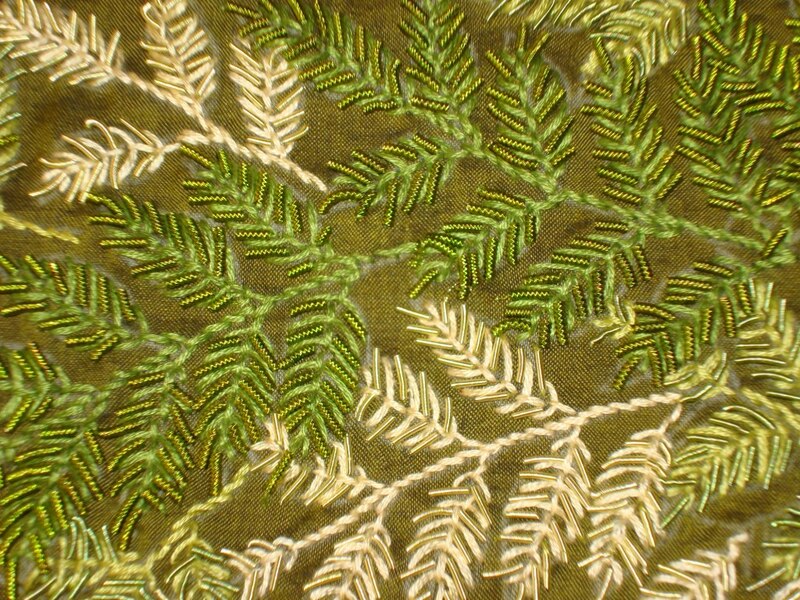 These embroidered pieces are sewn on a green tunic.